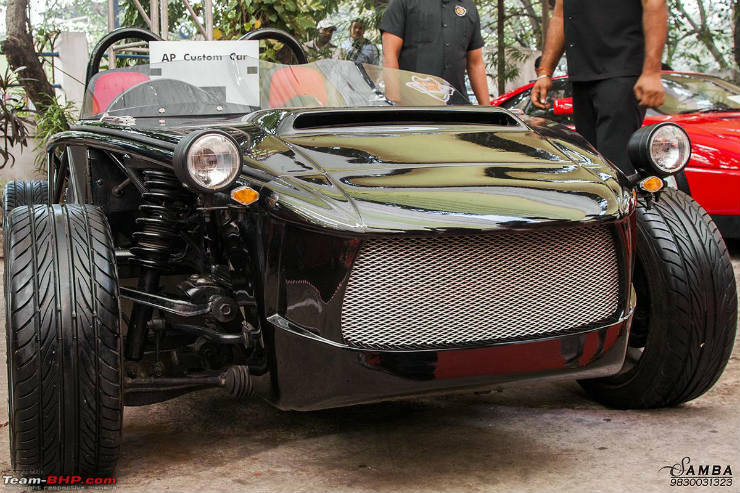 This is a custom car built by Mr. Jayaram himself. The vehicle is powered by a 1360 cc engine and has a 4 speed gearbox. It has independent suspension up front and at the back with Sachs adjustable shockers. It has custom built interiors, a Motec steering wheel and SMITHS instrument cluster. The vehicle has been hand crafted and now sports 10 coats of paint to. 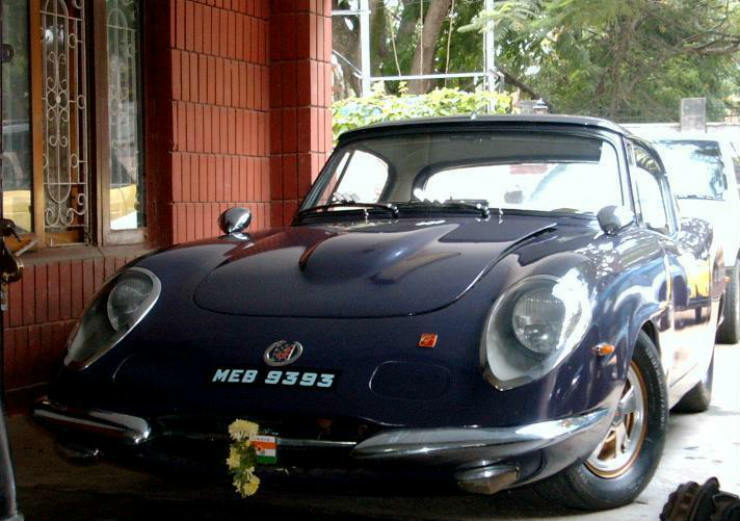 It was completed in 1975 and has been registered as the Jayaram GT. 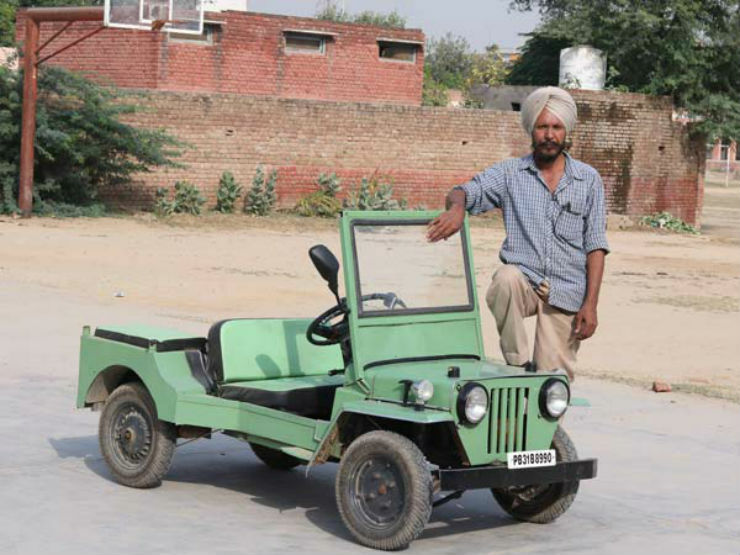 This miniature Jeep that you see here has been built by a 60 year old mechanic, Mr Bawa Singh. He got this idea back in 1977, when he had installed an extra wheel on a scooter, for a disabled customer. 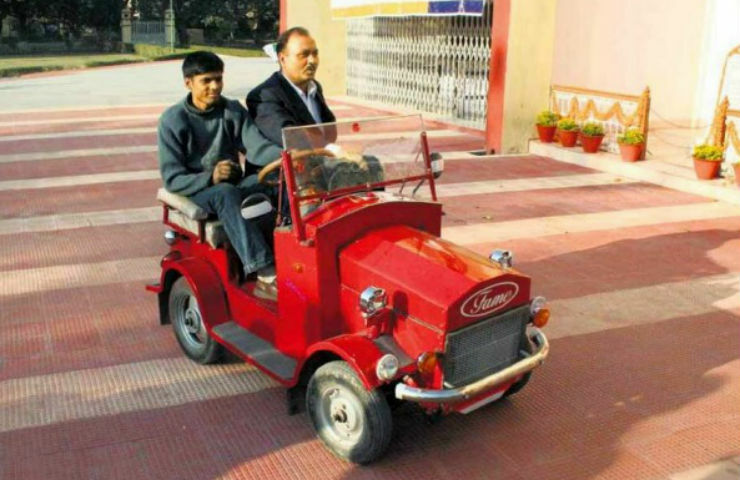 His new creation stands just 3 feet tall and has an engine from a scooter, which enables the vehicle to touch 60 kmph. 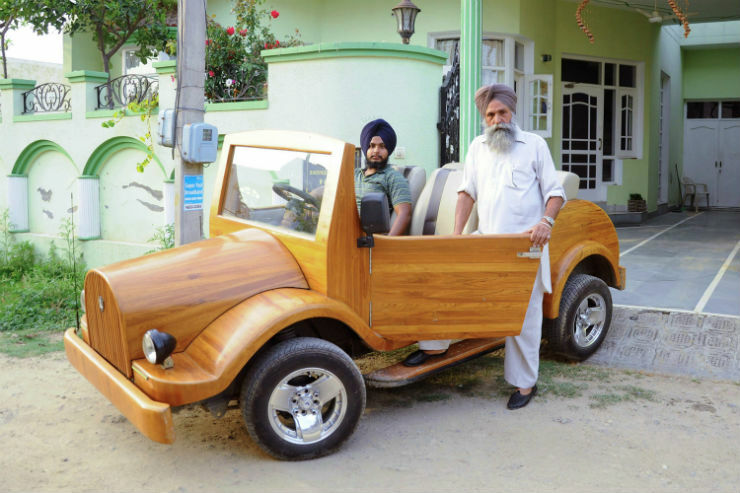 He built the vehicle in his backyard and completed it in a 2 year period. This is the Fame car which is powered by a 150 cc engine. It cost the builder a mere Rs 25,000 to build and can only seat 2 people. This is actually built by that person for people who cannot afford bigger cars, but yet want a vehicle for transport. Here is a car that has been built by a father-son duo. The idea came from the son, who wanted to build something unique with wood, while the father was a carpenter. The vehicle took 2 and half months to build and it was constructed in a makeshift workshop at their home. Drivetrain is that from a Maruti 800. And yes, the car is now street legal. Here is a vehicle that was on display at the Supercar Festival 2016, Kolkata. This has been completely custom built, from the frame to the whole design. Given that most fun cars abroad are kit cars that are simply built and put a massive smile on the driver’s face, this too would do the same from the looks of it.